But since that relationship to your art is the entire foundation for your art career, I decided it was time to shake off the cobwebs and bring it up for some fresh air. What came to light during our hour-long call was both ordinary and revelatory and I haven’t been able to stop thinking about it since. Yes, I Have a Relationship with My Art…duh… and So What? Artists have a very different career path than most professionals because the work they do is so entwined with their psyches, their personalities, and the most intimate connections to a sense of self. Putting aside production, big eyes on black velvet, and what’s purely decorative, artwork seems to be a direct extension of an artist’s soul. Artists feel something vital and alive and deeply engaging when they are immersed in making a piece. Is it possible that it’s the artist’s relationship to the art where the magic begins, and this is the starting point where people who are not artists look with a kind of awe on those who are? Because, if that is true, then for an artist to take the time and energy to reflect on their relationship to their art seems to be the foundation for how an artist then engages in a conversation about their work with someone who is interested and a potential member of their fan club. Let’s have that conversation. Go ahead, dive in and tell me how you experience your relationship to your art? Is it complex and ever changing? Is it the place of deepest solace for wounds and despair? Is it the light at the end of the tunnel? Is it pure joy? But don’t stop there. 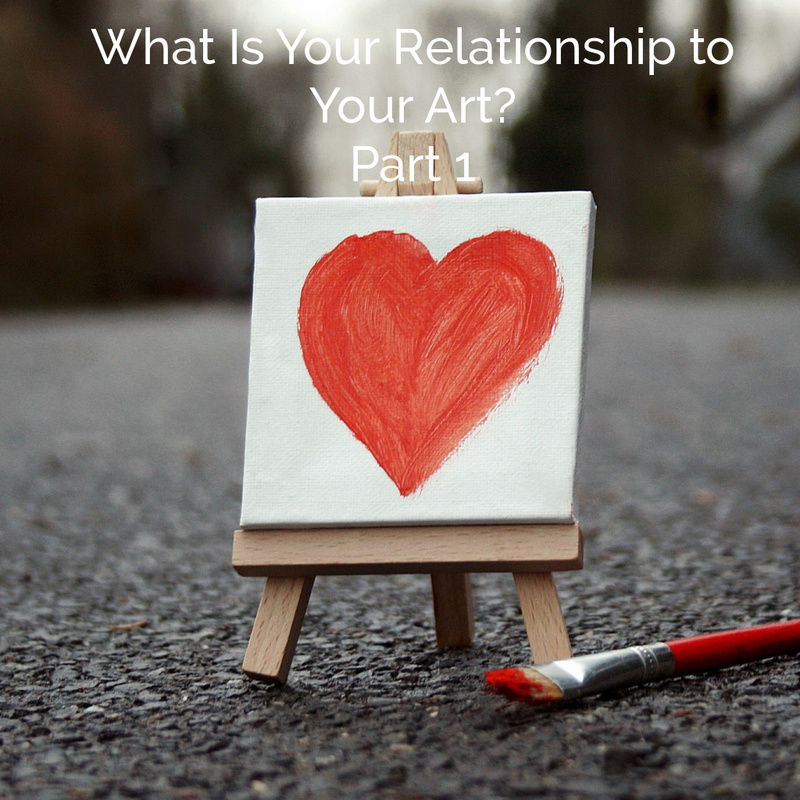 Don’t settle for a description of your relationship to your art, dig down and see if there’s something you haven’t yet revealed even to yourself – if there’s any surprise waiting for you as you lift the curtain on this oh-so-obvious aspect of you and your art. Then, pretty please, comment here – share your insights because that’s the whole point of this community of smARTISTs. Want to join us for the next Blue Stocking Art Salon conversation? If you are one of the rare artists who has done the work of understanding the value of your art, please comment here and tell me what you have discovered. My new Manifesto For Visual Fine Artists is all about making sure you have the tools you need to develop the kinds of relationships a thriving artist needs most. So, please… comment here and tell me, what is the value of your art?